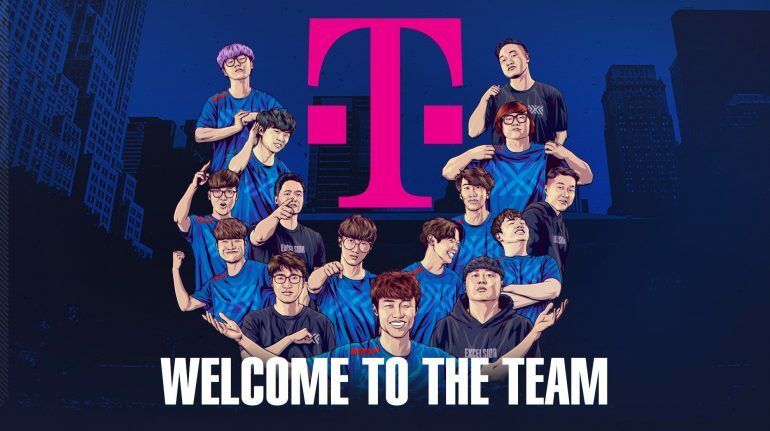 NYXL is now the second OWL team sponsored by T-Mobile. Overwatch League franchise New York Excelsior has named T-Mobile its presenting sponsor for the upcoming 2019-2020 season, the team announced earlier today. The partnership marks NYXL’s first-ever presenting sponsor, and is the team’s biggest sponsorship deal to date. It is set to help NYXL organize even more events around New York. “To kick things off, T-Mobile will celebrate the start of OWL season two and NYXL’s first match of the year by presenting NYXL Homebound, a watch party on Feb. 14 at the 40/40 Club in Manhattan,” NYXL announced in today’s press release. NYXL isn’t first team in the OWL to partner with T-Mobile. The American cellular company also sponsors the Houston Outlaws, as well as the OWL league itself. In 2017, T-Mobile ventured into League of Legends, sponsoring North American juggernauts in TSM and Cloud9. NYXL spent most of the 2018 OWL season at the top of the standings, winning the stage two and stage three finals. Favored to win the entire league, NYXL were upset in the playoff semifinals by Philadelphia Fusion, ending the year tied for third place with Los Angeles Valiant. Since their semifinal loss, NYXL has made changes to its roster, including the promotion of DPS Yeon-oh “Fl0w3R” Hwang to the team’s main roster. The OWL is set to make its return for season two on Feb. 14, with London Spitfire and Philadelphia Fusion opening the new season with a rematch of last year’s playoff finals.